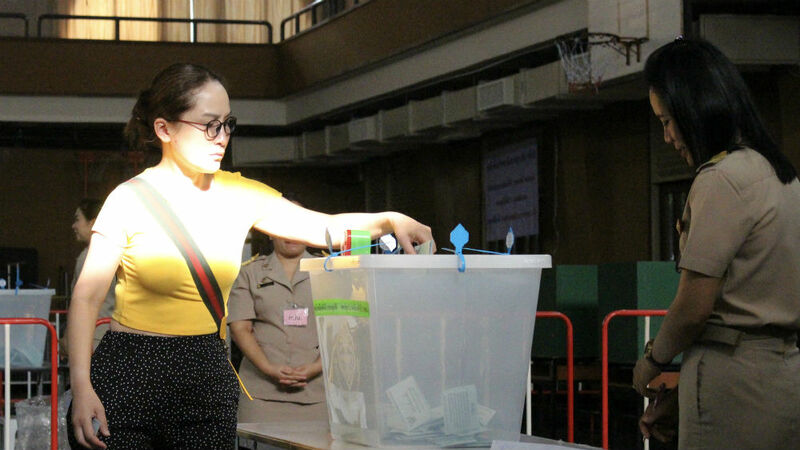 Bangkok, Thailand – Political parties jostled for position on Tuesday amid confusion about the winner of a weekend poll that was fought under a complicated new voting system including elements of proportional representation. The Elections Commission delayed its announcement on the results from late on Sunday to Monday morning. It was then further delayed to the afternoon, citing technical issues. It then said it would reveal only the names of the winners of the 350 directly elected constituency seats, having suspended allocations of the 150 seats available under the proportional party list system. The names of the winners were uploaded to its website at 4pm local time (09:00 GMT) showing that Pheu Thai had won 138 seats and Palang Pracharat, the army-backed party set up to campaign for military government leader Prayuth Chan-ocha, had won 96 seats. Future Forward, a party set up only a year ago by billionaire car parts tycoon Thanathorn Juangroongruangkit, came in third with 29 seats. Pheu Thai leader Sudarat Keyuraphan earlier told reporters the party, which is backed by exiled tycoon Thaksin Shinawatra and has won every election since 2001, was in talks to form a coalition. “We want to be at the core of the government because we did the best in the election,” she said. But across town, the army-backed Palang Pracharat was telling the media that it had the necessary numbers to form a government. Kobsak Pootrakool, the party’s spokesperson, said the party had won the popular vote and was also in the process of building a coalition that would ensure it a majority in the lower house. “We have received the most votes of all the parties that were running in the election,” he told Al Jazeera in an interview at the party’s headquarters, adding they were in the process of building a coalition of like-minded parties. The elections on Sunday were the first since the coup in 2014 but were held under a new constitution designed to weaken the power of the main political parties and entrench military influence through its appointment of the upper house, which will also have a role in choosing the prime minister. Campaigning was spirited, but constrained by repressive legislation. The popular vote showed Palang Pracharat with 7.6 million votes, Pheu Thai with 7.2 million and Future Forward with nearly 5.3 million. As part of the new system, the calculation of the party list is being done in a new, more complicated way. The Election Commission was criticised for the delay in announcing the result – it now says a complete picture will be available only on May 9 – raising concerns about irregularities. Rohan Hettiarchi, the head of mission for the Asian Network for Free Elections, which observed the polls, said the postponements risked undermining trust among the electorate. In a meeting on Monday, the Elections Commission blamed “technical issues” for the sudden decision, he said. “We need to verify what really happened and whether there were any irregularities,” he told Al Jazeera. ANFREL deployed 34 monitors around the country covering at least 1,000 polling stations. Future Forward, which campaigned in support of democracy and to reform the military, did well in Bangkok and among younger voters. Thanathorn Juangroongruangkit said the party was overwhelmed at the support it had received and was open to talks with Pheu Thai to form a government. Turnout was much lower than had been expected after the long queues at polling stations during early voting the week before. Just over 65 percent of the 51 million registered voters cast their ballot, the commission said. Palang Pracharat’s Kobsak said people had backed the party because it promised security and because they “loved” Prayuth. He noted that many older people had turned out for the party, showing photos on his phone of grey-haired men and women being helped out of vehicles and into the polling station. He said such people didn’t usually vote in Thailand. Titipol Phakdeewanich, an expert in Thai politics at the University of Ubon Ratchathani, said he was not completely surprised at the support for the army-backed party although it did not bode well for Thailand.